Avanced booking: Post office Thelen, Markt 24. Please transfer the fee to the account listed below and please specify your desired lecturer with your application. 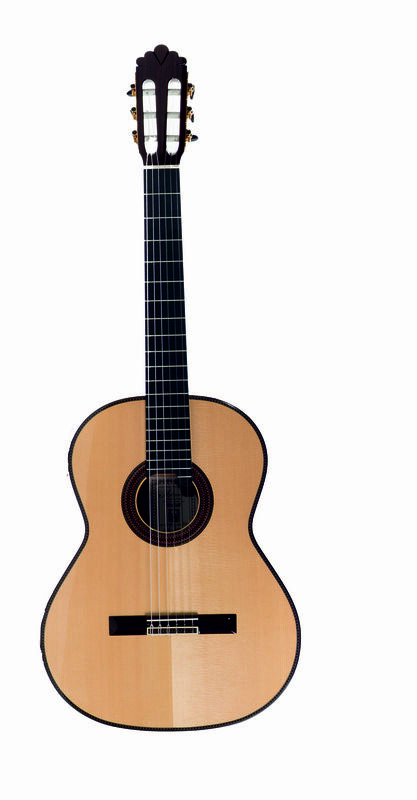 1st prize: 1000€ and Altamira "L'Orfeo"
The competition is open to guitarists of all ages and nations. It will be held in three rounds. If the time limit has passed, the chairman can stop the recital. A maximum of five participants are admitted to the final. Replays from the former rounds are not permitted. The award ceremony will take place November 18th, 8 pm in the comprehensive school Jüchen. The winner of the first prize may not participate in further editions of this competition. No juror may evaluate his own student. The jury reserves the right to share or not award prizes in exceptional cases. The competition is open to the public. Jury members are bound to secrecy. No refund is possible. The participants herewith declare their full acceptance of these conditions and the decisions of the jury with their registration. End of registration: 26th Octobre 2018. Please specify: Name / Birth date / place of residence /program and exact duration / lunch, host family, Shuttle-Service desired? The number of participants is limited. The order of registration will decide. There is a limited number of host families for the festival with free or very cheap accomodation. Please register for this! Participation fee: 30 € or 15€ for each member of an ensemble. The competition will be held on 17th (solo) and 18th (ensemble)November 2018. The competition is open to guitarists of all nations till the age of 20. Free choice of program. Everyone may only participate in her/his own age group (also applicable for ensembles). In ensembles the average age of all ensemble members counts. Permissible ensembles are ensembles (plucked instruments) with at least one guitar and other plucked instruments with 2-5 players. All vouchers are valid for 2019. As soon as possible the program for 2019 will be issued on our homepage. -Non-cash prizes: sheet music, CD's, pens etc. (a.o. by "Haus der Musik Trekel") and strings by "Knobloch Strings"
If the time limit has passed, the chairman can stop the recital without degradation. Award ceremony and announcement of the results is on 17th and 18th November 2018 at the beginning of the second half of the concert. One-to-one lesson with the lecturers of the festival for the preparation of the competition „Jugend musiziert“, starting again january 2019 in the category „Guitar Ensemble“. Fee: 30 min - 30€ / 45 min - 40 €. Please transfer the fee to the account below. The classes will be held in the comprehensive school Jüchen. Please specify your desired teacher with registration. When registering, please specify: name / date of birth / place of residence / program and exact duration of the program / lunch, host family, shuttle service desired? The number of participants is limited. The order of registration applies.